This is a powerful energy class and not your ordinary Yin class. Each pose is selected for you to open and release while powerful universal energy flows around and through you. The room is charged and cleansed before class so that you can enter and feel the energy flowing. During the class there are some of the poses there is hands on energy transfer, you are always receiving what you need. The women's guide to stress-free living. Calling all women in service to others: mothers, entrepreneurs, healthcare workers, wellness gurus, fitness instructors and more. Is your life stressful with all of its expectations, responsibilities and to-do lists? Do you experience frequent outbursts, feelings of loneliness and unhappiness, or find yourself eating and drinking in excess? Lets work together to ignite wellness back into your body, mind and spirit! We will reconnect you with your heart's deepest desire and inspire you to take action toward living a happy, heart-centered and stress-free life. Physiotherapist & Intuitive Wellness Coach, Brittany Erdman "Ignite Wellness"
Find out more about each of the offering continue to read below. Get Lost...and Find Yourself! with Bonita Summers. Take the First Courageous Step to Finding Yourself. It’s good to get lost! If you always know where you are, you’re probably standing still. Stepping into the unknown is a necessary part of our spiritual growth, much to the ego’s dismay! The ego wants to keep you in the familiar, so it will always take you back to where you've already been - the same dissatisfying relationships, careers and living situations. To go somewhere new, to find out who you really are, it's important to let go of your outmoded ideas, and dwell in the unknown long enough for new information to arise. This process can be unsettling, but it leads to profound realizations! Learn why it's a necessary and important step on the spiritual path to drop willingly into the unknown. We can read many books and attend countless workshops, but ultimately, we have to sit down and do the spiritual work. In this talk, we get down to the nitty gritty of what it means to actually walk the spiritual path into our deepest awareness. This talk and Saturday's workshop will give you the understanding and the tools needed to fully utilize this weekend's teachings, so that we can truly deepen in awareness and connect with our innate wisdom. Imaginal Awakening with ImaNaviah Rose. A Global Phenomenon. In Nature, Imaginal Cells in a caterpillar awaken against all odds and despite attacks by the (immune)system, they activate in greater numbers carrying the genome for an entirely new species. They activate as individuals and eventually find each other to create communities, overwhelming the current system. During this time of great global and cultural transformation there exists Imaginal Beings, ones that carry the codes for a new stage in humanity, a new way of harmonizing with the Earth and each other. The time of metamorphic evolution is here! Business Magnet-You! with Christine Patton. How to Draw Customers to You. Most entrepreneurs spend a lot of time thinking about how to attract business. If you’d like to know how to be wildly successful, with grace and ease…listen up! There is a saying, “There are leaders, and there are those who lead.” What is it about some people that draws us to them and makes us want what they have, or have to sell? Come and learn the 5- step sales process, and 5 theories supporting being the best, most powerful and attractive version of yourself, to draw more customers and clients to you…with grace and ease! Power of Belief with Steven Banks. Steven will speak about two aspects of ourselves that are imperative to understand in order to liberate ourselves from limiting perceptions that lead to fear and self sabotage. I will also talk about 4 ways to apply this knowledge to experience immediate change in your life leading to masterful manifestation. Embracing Vulnerability with Tammie Oram. Intimate connection creates safety to show vulnerablility. When we embrace and share our vulnerabilities we give space for others to do the same; if we willingly share our deepest fears, our weaknesses, our times of inner critic this sharing allows emphatic relationships to grow and develop into incredible strengths. This allows true connection within the safety of emphatic relationships where trust grows and where there is trust you will find love and joy. Optimal Health with Sheryl Yaremco. Optimizing your Immune System. Facing a wall of Supplements? Don't know how to get the best bang for the buck and buy the most EFFECTIVE supplement and Get the Best Value for your dollar? This Soul talk will be a short and sweet SUPPLEMENTS 101 Support your Immune System and Get more Energy! Aligning with Lasting Love with Shaeah Love. You've probably heard and maybe even know deep down that 'you are love' and yet the experience of love can come and go depending on how we think, what we feel, who we're with and what we do. It is up to you to keep love alive and well. In a dynamic and engaging way, Shaeah will share her wisdom about what it takes to align with love and keep it expanding both within yourself and in your relationships, resulting in ever expanding joy and fulfillment in all areas of your life. Theda Phoenix is a sacred sound channel, intuitive singer, songwriter and recording artist from Vancouver. 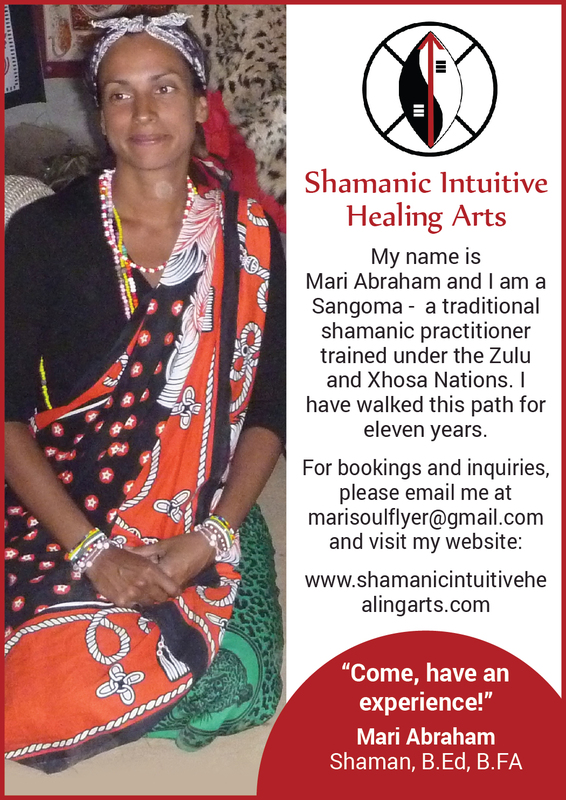 She uses Crystal Singing Bowls, Buffalo Drum, Harp and Guitar to create music for meditation, yoga and overall wellness. She performs for events and conferences with international speakers who have included Dr. Deepak Chopra and Dr. Joe Dispenza. She has several studio albums in a wide range of genres. Her unique gift of improvising healing music and channeling songs inspires a deep connection to the heart and spirituality of the human experience, reminding listeners of their own inner guidance and connection with source energy. Wake up and energize for the day! It doesn’t matter if this is your first yoga class or if you’ve been stepping onto your mat for decades, All Levels Flow is designed to offer a variety of options for every need and experience level. Vinyasa is a beautiful flowy practice that intelligently connects the breath with movement in the body and thoughts in the mind. This class teaches you to follow your breath’s intuition as you glide through a series of warming stretches and dynamic exploration, sun salutations, standing and balancing postures, and cooling shapes, with options to customize your practice along the way. All experience levels are welcome to explore, grow, and evolve their practice. Harmonization of the Self breaks down the layers that create our experience allowing us to understand the subtle nuances that affect us in every moment of every day. Thoughts, emotions, behaviors, beliefs and perception are our filters through which we experience life. I will share with you in a clear way a truth about who we are which will allow you to clearly see for yourself what you do, how to discover what you want and how to make the changes necessary to achieve it. Where you are now, Your relationship with yourself and others, Your relationship with your desires, The function of your subconscious, conscious and superconscious minds, How to understand and learn how to interpret your intuition and 4 ways to take control of your life and experience masterful manifestation. Imagine, sense, see, feel and experience yourself walking down the ancestral path toward your very own private Garden of Eden, your Sacred Soul Garden. Soul Garden Alchemy is a stunningly beautiful and potent metaphoric visualization that grants access to gently work with the limiting beliefs, patterns, programs and energy signatures that are currently active within your multidimensionality. Anyone can do it!. Through the power of grace, gratitude, love and forgiveness you can uproot and transmute any disharmonic energy by shifting in conscious cultivation. Do you find yourself struggling to connect to yourself, your thoughts, needs and desires? In this workshop, you’ll learn how to reconnect to your inner wisdom, so that you can live a life that is in alignment with what you want, need and desire. In this interactive workshop, Cheryl leads you through a journey to trusting yourself by teaching lessons, sharing stories and giving you a chance to integrate the lessons through discussion and exercises. You’ll leave with the skills you need to connect with and hear your inner wisdom and to most importantly trust yourself and your guidance. It’s good to get lost! If you always know where you are, you’re probably standing still. Stepping into the unknown is a necessary part of our spiritual growth, much to the ego’s dismay! The ego wants to keep you in the familiar, so it will always take you back to where you've already been - the same dissatisfying relationships, careers and living situations. To go somewhere new, to find out who you really are, it's important to let go of your outmoded ideas, and dwell in the unknown long enough for new information to arise. This process can be unsettling, but it's immensely productive! Learn how to traverse the void, drop willingly into the unknown, and work through the growth pangs of ego death and rebirth. These tools are designed to be used long after the retreat is over. When we feel lost in the future - and we will - we'll recognize that state for the opportunity it is, and we'll know how to make good use of our time in the unknown. Learn why it's a necessary and important step on the spiritual path to drop willingly into the unknown. We can read many books and attend countless workshops, but ultimately, we have to sit down and do the spiritual work. In this workshop, we get down to the nitty gritty of what it means to actually walk the spiritual path into our deepest awareness. This workshop is an opportunity to gain the understanding and the tools needed to fully utilize this weekend's teachings, so that we can truly deepen in awareness and connect with our innate wisdom. Join Kinesiologist Kaitlin Armstrong for this exploration of the basics in neuromyofascial networks and how their interconnection is the foundation of a healthy yoga practice. Lets investigate how FUNCtional movement of the fascial lines and the elements of biomechanical development can better empower our bodies fullest potential meanwhile heal injuries and correct imbalances. Through experiential exercises and tools, you will learn the power of your postural habits as a reflection of your thoughts and belief systems and in turn encourage more freedom in self expression. Chronic stress puts a strain on our adrenal glands, causing them to secrete abnormal levels of hormones. This affects our physical and emotional wellbeing and can cause a range of symptoms, including fatigue, insomnia, mood changes, memory and focus problems, changes in digestion, autoimmune disease, allergies and chronic pain. Join Dr. Sapphire Vanderlip to learn effective strategies to rebalance your nervous system and improve your overall health. Learn about how your adrenal and thyroid glands, digestive system and the liver each play a vital role in this process. Followed by a question and answer period. If you want a loving, stronger, more powerful relationship then this is the workshop to attend. Learn how to make heart felt connections and increase your communication in a healthy, positive and uplifting way. We will be practicing body language, experiencing positive interactions while learning powerful words, tones, attitudes and understanding the importance of Emotional Intelligence. A quick movement yoga class open to all: Whole village welcome. This class occurs right in the middle of the outdoor market and will be loads of fun! Simple movements, easy and beginner friendly. Experience the Sensuality of Nature. Through a series of movements and breathing techniques, we will expand our sense perceptions and clear blockages that inhibit us from experiencing bliss within our own bodies. From this expanded space, we will journey with intention in to the magical realms of plant and animal medicine. Aligning whole self with Nature, we will explore the joy and bring home the gift of embodying safe, sensual experience. Breathe in the power of Nature and experience the ecstasy of your Spirit unfolding in your body! Would you like to be able to trust more and worry less? Learn 10 tips on how to access, develop and trust your own intuition to make your life easier and more effortless. Discover why you do not trust your inner voice and how to clear those blocks. Differentiate between "just my imagination" and truth. Maybe you are not just intuitive, but also psychic? Make peace with any fears of how you know the truth and live a more efficient, trusting life. Acquire these skills at any age and for any profession to live an easier, more joy-filled life! Longing to share your love & your life with that special someone? Fed up with attracting a partner that isn’t right or good for you? Doubt whether ‘True Love’ is possible for you? * Claim Your Divine Destiny * Clear Whatever is in the Way * Awaken your Magnetic Radiance An informational and experiential workshop where you will walk away with greater clarity, empowerment and inspiration and some tools you can use on-goingly to call in the love of your life! Come wearing something you feel beautiful and comfortable and can move easily in. Bring a water bottle, journal and a pen. Do you want more health, wealth and happiness? Many people share common energetic blocks that prohibit them from enjoying success in their careers, fitness, finances, etc. Colette will provide energetic upgrades for the group and show you how to identify and eliminate hidden energetic blocks using easy to use tools that you can put into effect immediately! The truth is funny! The problem is never what you think it is! Shift happens! Attract your authentic desires like filings to a magnet! The intention of this workshop is to create greater awareness to the body through mindful and intentional movements to release fascial restrictions and increase tissue pliability through strength, stretch and the use of props. Students will have a better understanding of Fascia and how it functions to facilitate movement, will learn how to release fascia through the use of props as well as through a dynamic yoga class of both active and passive poses. Become empowered on maintaining your body injury free while still enjoying the activities that light you up from the inside out! In yoga practice, we bring our attention to our breath, our body, our movement with awareness. In many ways, our practice is an art form of self-expression, a dance. This experience will begin with a yoga practice, creating foundation and connection to the body and breath, flowing into organic movement of ecstatic dance! Natalie Saari will hold space for yoga and ecstatic dance, a unique movement practice that allows us to move freely, expressively, spontaneously. The guidelines are simple: move however you wish, refrain from speaking on the dance floor, non-judgement and mutual respect. A natural experience, drug + alcohol free. The experience will conclude with one of the most incredible savasanas EVER, feeling the vibration of music and movement throughout the body. Don’t be shy.. Join us for this movement session and let yourself be free! 5:30pm Doors Open COME EARLY!! Sacred Sound Journey Meditations weave together intuitive vocals with Crystal Singing Bowls, Drums, Harp and other instruments creating a powerful soundscape to journey inwardly. These meditative vibrational sound frequencies clear tension and guide the mind into states of surrender, giving the nervous system space to relax, which allows the body to naturally regulate, balance and heal, leaving us with a feeling of well-being, rested, rejuvenated, connected and at peace. Join us for this fun and interactive playshop and enjoy experiencing tools and techniques to encourage your soul to take the lead and flow freely through your life. Be prepared to move, to laugh, to sound, and to feel as you discover how to rapidly release emotional stress and get the Block out of the way! Expand your comfort zone into your Power zone. Learn to move from self-conscious to Conscious Self. Dive deeply into your center and revel in the refreshing Spirit of your True Self. You will be taken on an aerial experience to view and discover the landscape of your dreams. Dreamscaping is about spiritually cultivating a lifestyle of dreaming in the night season. Every person on the planet is a dreamer. Some are aware of this but many do not understand the incredible gift that dreaming offers our spirit. Caleb's session will give the audience an overview of a roadmap of how to follow their night dreams, understand what they are saying and how to activate more to come forth in their lives. Come and discover your dreamscape! Root To Rise is a beginner-friendly hatha foundational focused yoga practice where you will engage deeply with each posture. You will practice rooting down into your mat with a strong & stable foundation, while allowing the rest of your body & mind to float high into the sky. Your body will be challenged, and at the same time, you will be held in a gentle, loving space of acceptance. Overcoming the Fear with Ruby Hogg. Not many things intimidate me. But parenting? Parenting scared me. Prior to having my daughter I was a typical nomad but I was worried that my outdoor lifestyle would change after she came into my life. Instead of allowing those fears to debilitate me, I overcame the invisible barrier. Since then, we’ve visited many different continents and shared so many amazing experiences. Our time in nature has helped us to connect on a higher level, ground ourselves, and we are just happier in general. I look forward to sharing my stories with you all. The Power of 'Trans'-formation with Corey Keith. Re-story our Life to Create Authenticity. We as a race have been so numb, to our job, to our relationships, and to the suffering around us. Why? Because we have forgotten who we are. This Soul Talk will empower you on how to see who you are by moving past the fear, confusion, and to trans-form barriers to your life into opportunities. Through the sharing of my personal story, as a transgender individual who learns differently, you will see that we are not that different and your unique power, called authenticity, is there waiting to be found! Surviving Invisible Abuse with Kate Middleton. Healing from the monsters you loved. Narcissistic Personality Disorder is more than a fascination with your own face. It is a form of sociopathy and it is incurable. It is the only condition on the planet where the patient is left alone and everyone else is treated. Why? Because this insidious, well-hidden form of abuse is almost never diagnosed. Except by the shell shocked victims who have no visible scars to show. This presentation will not only help you to identify NPD, but more importantly, recognize the victims, discover if you are one, and learn how to break free. Have you ever felt like you were missing something in your life? If one more thing was to happen, it would throw you over the edge and you’re not sure how you would handle it? It can be easy to be overtaken by the to do lists, tasks and expectations of life. To fall into society’s expectations of what you should do and who you should be. Tracy will be speaking about 3 simple, yet powerful tips you can use to begin to get yourself out of the overwhelm and stay out. Are you looking for more peace, harmony, vitality and depth in your relationships? Tired of the same old arguments that keep you stuck and sometimes miserable? In 16 short minutes you’ll learn how to break free of emotional programming that destroys your serenity and keeps you from truly loving yourself and others. Discover proven tools and techniques to help you shift right out of the stress zone and into your power zone. Learn how to rapidly release emotional stress and transmute debilitating defensive reactions. Let go and let your soul flow through all of your relationships. How many times have you attempted to change the way you experience life but all to soon you slip back into old habits and patterns lacking the depth and purpose you were striving for? The 12 Principles of Living a Conscious Life is a 12 week course designed to create long lasting change by mastering 12 simple everyday lessons which if practiced, will transform the way your life unfolds so magically you'll have a hard time believing that change could be so easy! Of course, where Stephanie goes, so does Solomon! Stephanie has been channelling Solomon since 2012 after her NDE and is always willing to share their insight and Knowledge! Bring your questions and enthusiasm as this will be an event to remember! 100% of the proceeds from this event go to supporting this incredible organization! 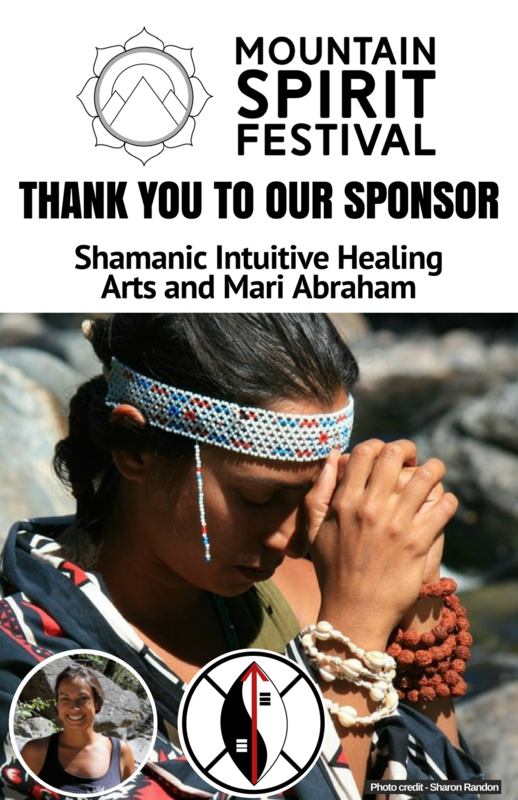 Join us on Sunday June 24th at Mountain Spirit Festival in Sun Peaks Resort, BC for the opportunity to come together with your community and string your very own mala necklace, made out of rudruksha seeds and semi-precious stones. During this workshop, you will learn about the symbolism of mala beads, about intention setting and about using mantra, and you will get to bring your very own handmade mala home with you! We are very excited to be collaborating with our beautiful (inside & out) partner Cambria Volonte of Gaia Acres for this workshop, and we SERIOUSLY cannot thank Elizabeth Beeds & Interior Wellness enough for continually opening her heart for our cause. Over the past year, May Cause Radiance has handmade hundreds of mala necklaces, with all proceeds going to charity for CANcer. More specifically, the money raised goes to supporting young adults affected by the dis-ease - to making this community feel well, beautiful, taken care of and RADIANT amidst the challenges of a cancer journey. A CANcer journey is difficult to process at any stage of life, but for a young adult who may be living away from their support system, studying abroad or who may not have a stable career with benefits or medical insurance to help them get through their life assignment ahead, the word “difficult” may not even cut it. Although May Cause Radiance is not necessarily fundraising for the “CURE” (although we are eternally grateful for the organizations that are! ), our mission is to support the person - individually and holistically, however best serves that person. Each mala bead strung and sold allows us to do this! Some examples of how we have allocated money we have raised are sending CANcer warriors to wellness festivals, purchasing them yoga memberships or sending them to get their nails done to just make them feel “normal” again! It is also not a “mistake” that our fundraiser is selling handmade one-of-a-kind Radiance Malas. Just days before the founder of May Cause Radiance received her very own CANcer diagnosis, she and some of her best girls had the opportunity to make their very own matching mala’s together in a beautiful chalet in the mountains. This was the first mala she strung, but would certainly not be the last! This mala became a sort of uniform throughout her CANcer journey. It accompanied her to all her appointments, treatments and check-ups. It became a symbol of faith, surrender, prayer and…(drum roll, please)…survivorship. OR just scroll to the bottom of the pop up and click the "Pay with a Credit or Visa Debit Card"
We are all made up of universal energy. By understanding this universal theory, we can activate our bodies own innate healing. In the west we don't hesitate to reach for a quick fix to suppress our pain and discomfort where in the east they use they align the body with the universal energies to prevent pain and illness. There are 5 main energy centres that are also within us. Some cultures call these energies Chakras and some call them The Five Elements. By understanding these energies its like having an encyclopedia about ourselves, others and everything around us. In this workshop we will feel this energy in our body through movement with particular attention to the group of muscles that hold this energy, as well as learn how Gallbladder and Liver functions play a big part in how this energy flows within us, and how the same functions apply to the way that we live our lives. Students will learn the different indications that can take place in the body when these energies becomes blocked and we will use corrective techniques to clear energy blockages and create balance within the body.